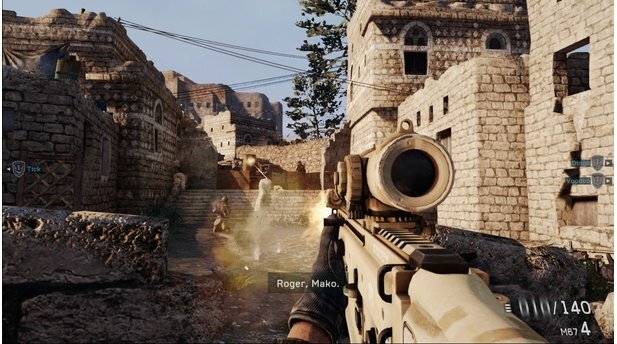 Der Publisher Electronic Arts und Entwickler Danger Close haben zum Release des Ego-Shooters Medal of Honor: Warfighter einen ersten Patch veröffentlicht. Der behebt zahlreiche Bugs in der Kampagne und dem Mehrspielerteil. 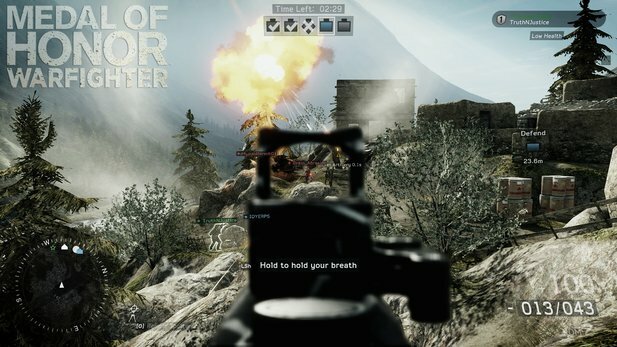 Der erste Patch zu MoH: Warfighter behebt zahlreiche Bugs und Fehler im Spiel. 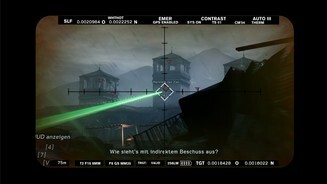 Ab heute ist der Ego-Shooter Medal of Honor: Warfighterbereits in den USA spielbar. Für einen reibungslosen Start empfiehlt der Publisher Electronic Arts allerdings dringend, den Day-1-Patch zu installieren. Dieser behebt eine gehörige Anzahl an Fehlern, sowohl im Mehrspielermodus als auch in der Kampagne. 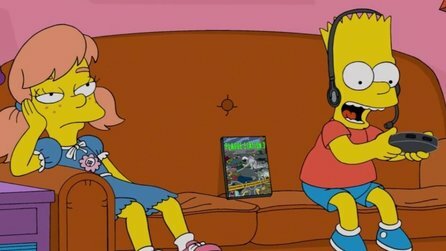 Neben zwei neuen Funktionen, Freunde können direkt im Spiel hinzugefügt werden und Mitspieler können während eines Spiels auch in Platoons eingeladen werden, behebt das Spiel vor allem Unmengen an Fehlern. In der Kampagne ist der Schwierigkeitsgrad jetzt nicht mehr automatisch auf Leicht gestellt, das allgemeine Matchmaking wurde verbessert und auch am Balancing der Waffen wurde gearbeitet. Auf dem PC sollten jetzt keine Gamepad-Symbole angezeigt werden, wenn kein Gamepad angeschlossen ist und das Mausrad funktioniert ab sofort mit allen Listen im Spiel. 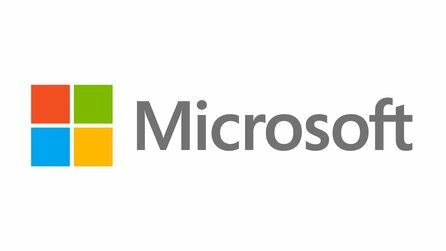 Auf der Xbox 360 wurde vor allem an der Stabilität geschraubt. Electronic Arts legt allen Spielern ans Herz, den Patch so schnell wie möglich zu installieren. Auf dem PC sollte sich das Spiel automatisch über Origin aktuallisieren, auf den Konsolen steht der Patch auf dem PlayStation Network und Xbox Live zur Verfügung. 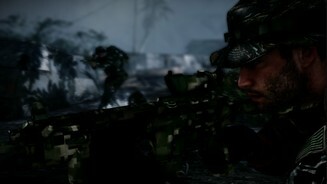 Medal of Honor: Warfighter erscheint am 25. Oktober 2012 in Deutschland für PC, Xbox 360 und PlayStation 3. •Now able to add friends and join parties while in-game. •Can invite others to your platoon or apply to join a platoon while in-game. •Removed initial delay to Spec Ops Signal Scan charging. •Snipers in Recon stance will no longer be visible to enemy RQ7/RQ11 UAVs. •Increased the accuracy of server-side aiming prediction. •Fixed an issue with “Fall Back” spawning to improve its behavior. •Fixed spawn type changing to Buddy Spawn automatically when it is not supposed to. •Call in a Blackhawk for the losing team if they are getting dominated in Sector Control. •Added tutorial text to first sniper encounter to help teach player about bullet drop. •Fixed an issue where the default difficulty was set to Easy instead of Normal. •Fixed an issue where controls would become unresponsive under certain conditions. •Fixed an issue with one of the in-game cinematics. •Improved single player stability and fixed progression stoppers. •Smoothed out the matchmaking flow between successful matchmaking and joining the player to the game. •Players can no longer join an invitation only party without being invited. •Fixed issues with joining single players together into Fireteams. •Fixed an issue where Veteran platoon members could not reach Elite status. •Fixed an issue where a member that is removed from a platoon becomes its leader. •Fixed an issue where players could not rejoin the same platoon matchmaking server after playing a game on that server. •If a player leaves one platoon and joins another, their platoon card now properly reflects that change. •Fixed an issue where the platoon patch would not show up for other members if one member leaves the platoon. •Fixed another issue where the platoon patch would no longer show up under certain circumstances. •Sending a platoon invite when both players are in-game now works properly. •Fixed “no scope” shooting. Players were getting immediate ADS accuracy without having to wait for the scope to come all the way up. Was very exploitable for snipers. •Sped up the bolt action on the CS5, since it was longer than the TAC300. •Fixed issue with gap between where the LTLM can’t fire and where it indicates the target is too close. •Reduced the damage/range of the Demolition’s SMGs (Scar PDW, HK 416c, Suchka), as they were overpowered. •Made switching between primary and secondary weapons much more responsive. •Fixed an issue where a grenade would not be thrown the next time if the user switches to their weapon while cooking a grenade. •Player will now switch back to their secondary weapon if that is the weapon in use when throwing their last grenade. •Fixed an issue where aiming was pushing the player away from the wall they were standing next to. •Fixed clearance check for placing the Radar Jammer. •Fixed auto-ADS not working when peek-and-leaning while prone. •Implemented pre-streaming for weapons to reduce the time from spawn to ready-to-fire to be 0 seconds in most cases. Down from around 2 seconds prior to this fix. •Made the start button responsive as soon as the player enters the first menu screen. •Simplified the way players navigate and select in the My Gun and Class Select menus. •Fixed the way the UI handles scrolling, including speed and correct scroll bar position. •Cleaned up a number of other small navigation quirks and issues. •Servers in the Server Browser are now sorted based on ping, giving priority to servers closest to the player. •Filtering servers by name now works properly. •Fixed an issue where changes in My Gun and My Soldier were not being retained when joining a game via the Quick Match or Matchmaking options in the MP Lobby. •Optimized the login flow into Multiplayer. •Updated the MP Lobby to include a shortcut to creating a Party. •Quick Match button in the MP Lobby is now contextual, and will change to Platoon Matchmaking if you are in a Platoon Party. •Fixed the Server Browser filter to properly sort for games that have 6+ open slots. •Fixed a 20 second hang during the Online Pass flow. •We now keep the queuing message open as long as the player is still queuing. •Clean up notification numbers when a new item is viewed. •Various other flow and user experience optimizations. •We now turn off the HUD when we start to show the outro scoreboard. •Fixed display of text in disabled dropdowns. •Fixed some subtitle lines being cut off. •Removed hints and tips from the loading screens that were no longer valid. •Fixed the Player Banners to display the correct rank icon and number. •Fixed placement of auto-save icon on CRT TVs. 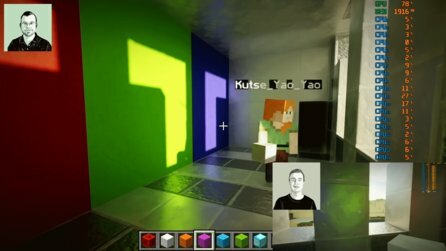 •Fixed HUD elements not showing in certain cases. •Fixed animations in the post-match screens as they show the player’s progression. •Fixed the timer not displaying in the post-match screens. •Fixed player name tags not showing up in-game in Home Run. •Icons are now scaled on the sniper’s mini-map when they are using the bipod. •Updated the art used in the Player Banner. •Fixed some camera issues on level entry. •Fixed the demolitions class mask display in certain situations. •Fixed an issue that would cause some images not to display properly. •Various other alignment, corruption, overlap and visual improvements and fixes. •Fixed an issue where the Battlelog social hub introduction was showing every time you opened the Battlelog social hub. •VOIP team channel no longer includes players from the other team. •Fixed an issue with VOIP in the Home Run game mode. •Fixed an issue where Double XP was not being awarded to players who had both logged on to medalofhonor.com and who had played on a multiplayer server. •Fixed an issue where the Global Warfighter medal was not being awarded after players had completed a tour with each class. •Fixed muffled firing sounds when scope is zoomed in. •Localization fixes, in both audio and text. •Improved the camera for the Apache. •Improved the aiming of the rockets in the Apache. •Improved Blackhawk functionality in Novi Grad Warzone. •Fixed a bug in the rules for pre-round in Combat Mission. •Fixed a couple of out of bounds issues in Sarajevo Stadium. •Fixed an out of bounds issue in Basilan Aftermath. •Fixed a bad spawn point in Team Deathmatch in Somalia Stronghold. •(PS3 – Japan) Fixed an issue that prevented 17-year old users from playing online. •Fixed an issue where support action icons were overlapping each other. •Kill messages should now better match timing within gameplay. •Improved readability of kill messages. •Fixed visual effects issue in Tungawan Jungle. •Fixed mini-map issue in Shogore Valley. •Improved visual fidelity of some of the flag images. •Smoothed transitions between screens in the Mulitplayer menus. •Fixed a visual glitch when adjusting the brightness in the Options menu. •Fixed a bug where the News in the MP Lobby was not showing up. •Removed Quit Game from the Top Navigation Bar in the in-game pause menu and placed it under “Last Resort” in the Respawn Menu. •Fixed a case of an explosion not playing the correct audio. •(PS3 – Japan) Various stability fixes. •Fixed functionality and list updates for Favorite and Recent servers. •Players with chat restrictions are no longer allowed to create their own platoon. •Platoon names and tags are now restricted to no more than 3 numerals each. •(PS3 – Japan) Fixed two issues related to platoon names and chat-restricted accounts. •Fixed an issue with invites specific to PS3 and PC where the player would get stuck on a black screen. 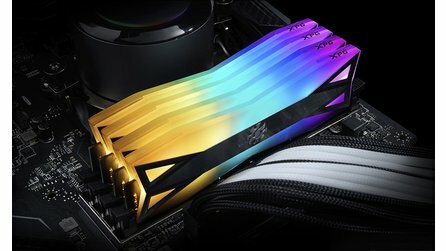 •Various stability and performance improvements. •(PS3 – Japan) Fixed an issue related to save file size calculation. •Improved the handling of memory cards and saved profiles. •Improved handling of parties and Fireteam designations in Platoon matches. •Fixed an issue related to progression loss if the user removes the storage device. •Fixed an issue where a player’s class was changing without their input. •Fixed an issue where controller prompts were showing even though a controller was not plugged in. •Mouse wheel now works with all scrolling lists in the game.